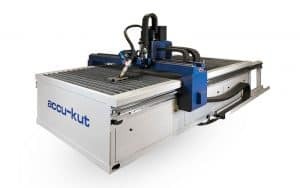 The AKS tru-kut is a CNC X-Y programmable plasma cutting system incorporating a traditional “air” plasma power unit, or the Hypertherm HyDefinition® plasma cutting power supply. 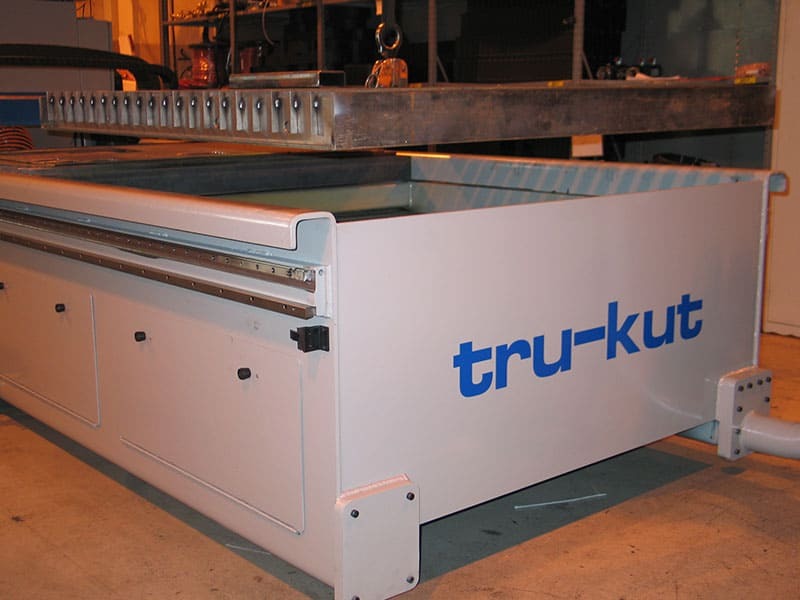 The tru-kut unitized frame is machined in a single set-up, resulting in the highest accuracy of motion in any plasma cutting system on the market. 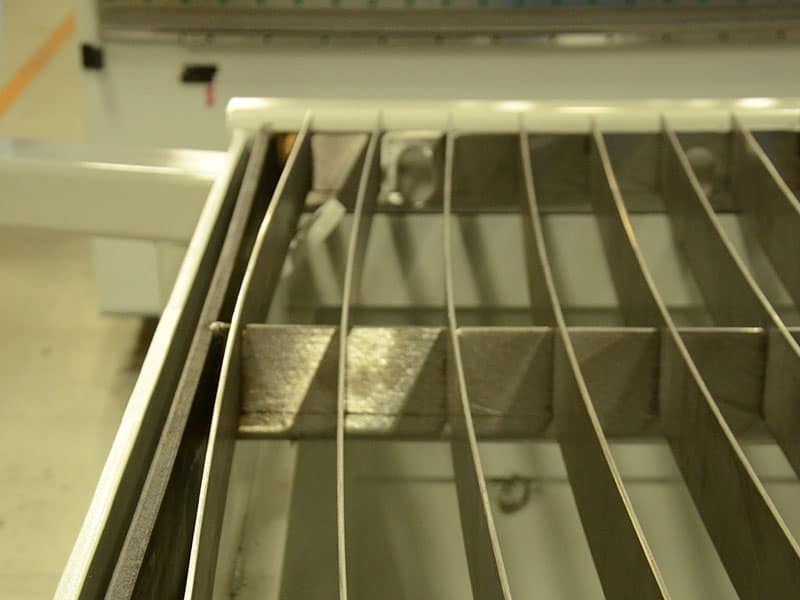 Only AKS Cutting Systems is full-process SureCut™ functional. 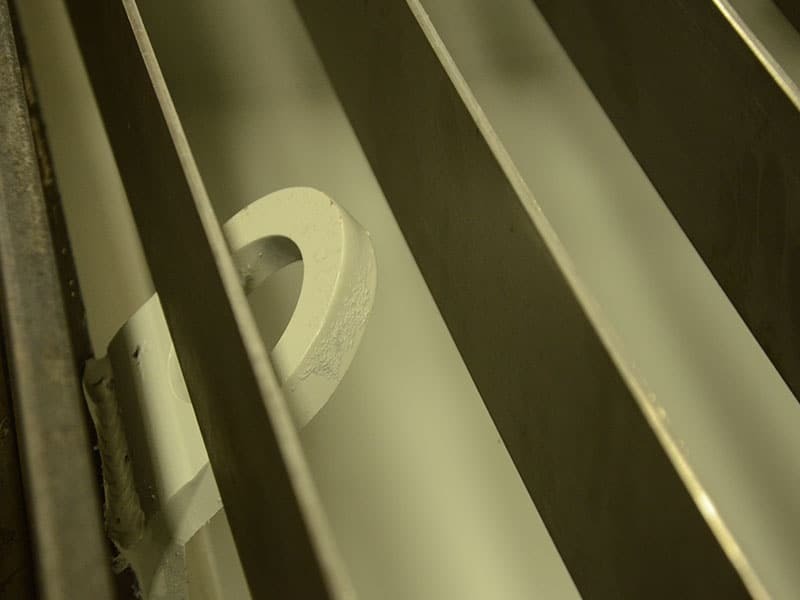 SureCut™ technology maximizes performance by providing embedded expertise through a combination of tools that includes plasma power supplies, CNC and CAM software. 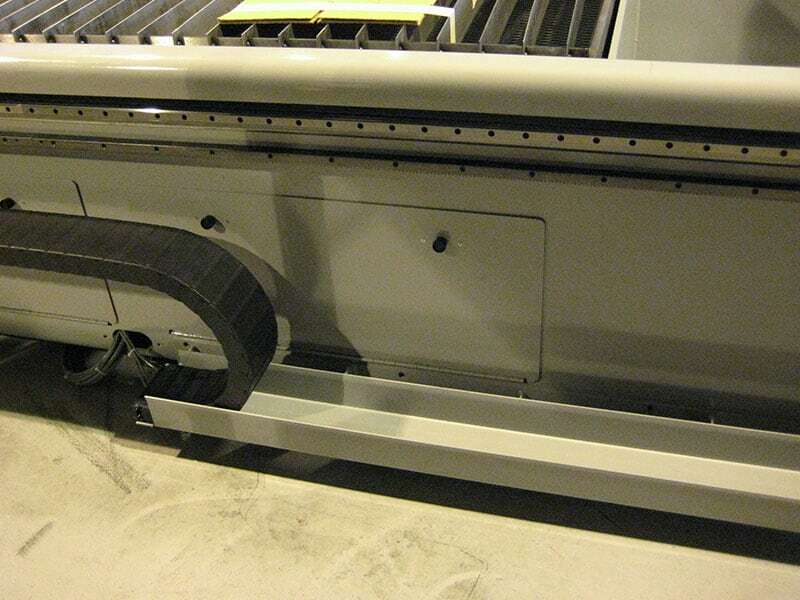 Note: All SureCut™ technologies and benefits are only achievable on SureCut™ enabled and True Hole® enabled cutting tables like the AKS tru-kut X, accu-kut, and dura-kut. 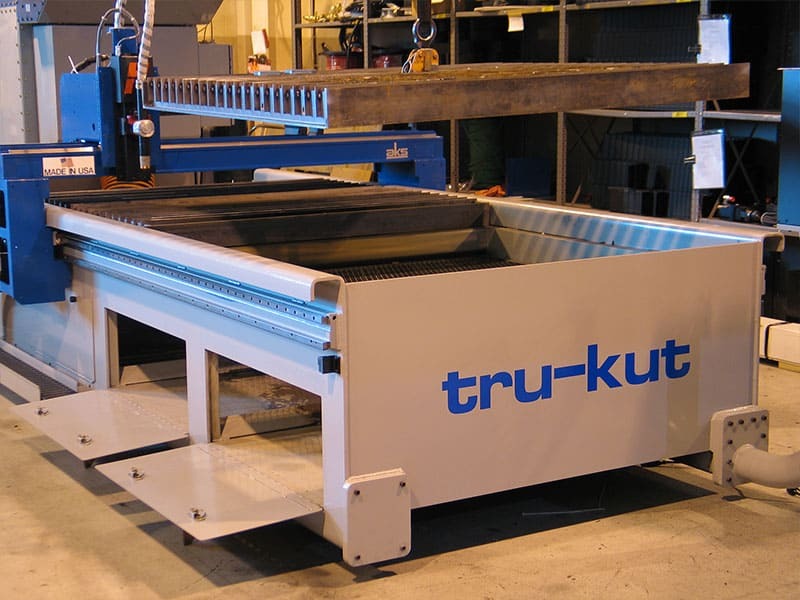 The AKS tru-kut X still utilizes all the same exclusive features and benefits of the tru-kut, but now, the cutting performance of the tru-kut X is improved to the level of similar performance of the industry-leading AKS accu-kut. 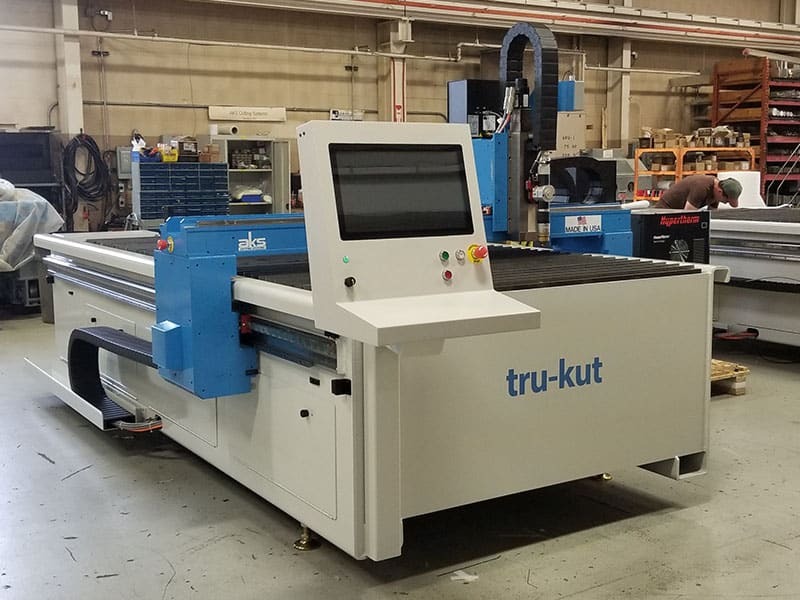 The AKS tru-kut X is the highest value small platform machine available on the market, with superior performance and capability over similar competitive machines. 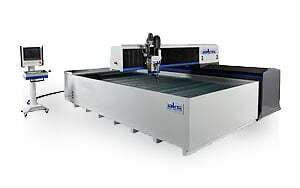 The most powerful plasma cutting 5-axis bevel head in the industry and is protected by several U.S. Patents. The AKS robo-kut is capable of +/-45 degrees for A, V, K, X, top-Y and bottom-Y style bevel cuts for weld prep applications, countersinks, and chamfers, and also is capable of precision taper compensation or back-beveling. 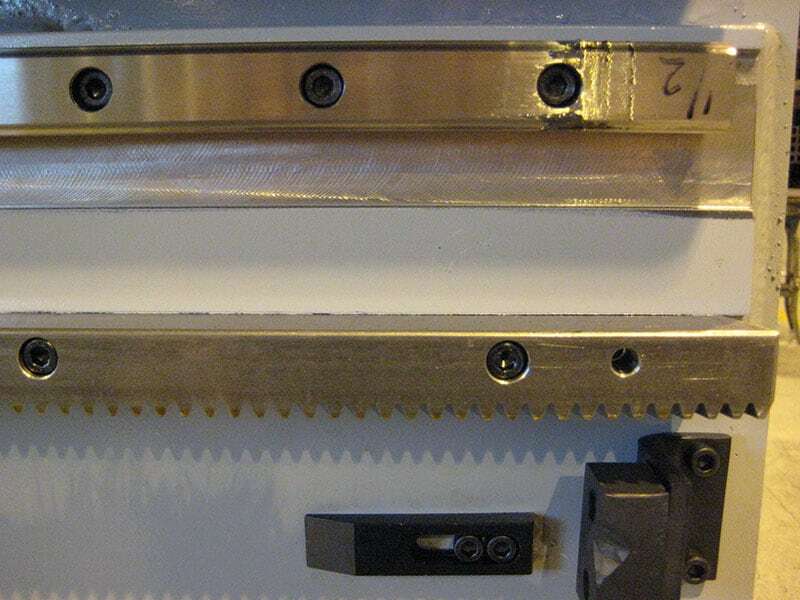 The AKS robo-kut can produce a ½” diameter bolt ready hole in 1″ thick steel plate, for a ½ : 1 ratio for hole diameter: thickness. 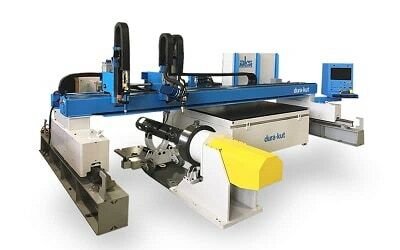 This is superior to competitive machines which are limited to traditional 1 : 1 ratio only. The AKS plasma robo-kut incorporates robotic style precision gearing and planetary gearboxes that can be incremented in arc-seconds, or fractions of degrees, for tightest precision and accuracy. 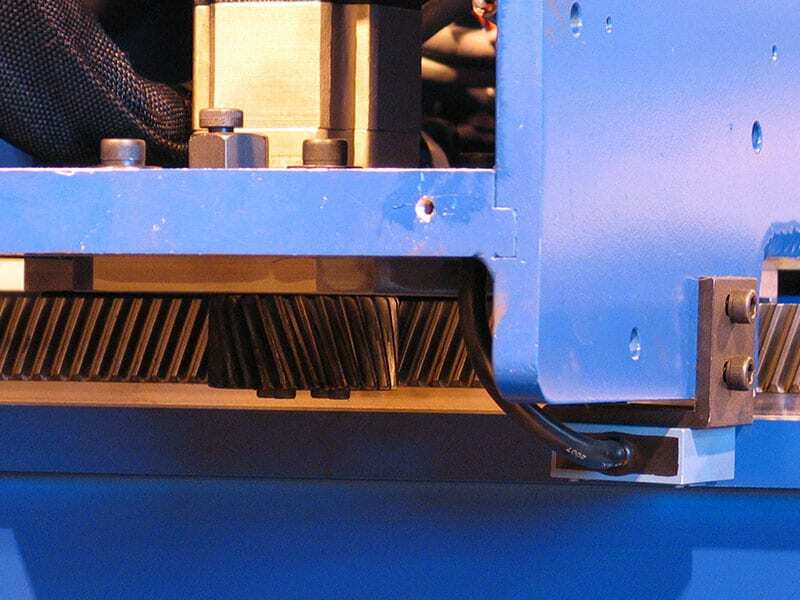 The robo-kut performs continuous unlimited rotation without interruption, for cutting of the most complex 5-axis parts without having to stop and unwind, and includes a magnetic breakaway head to prevent damage upon a crash. 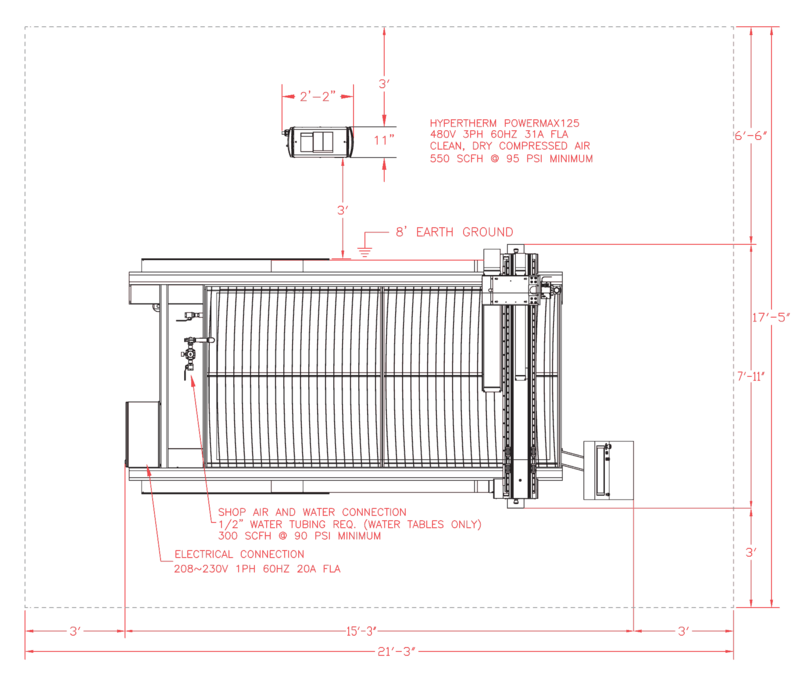 the AKS tru-kut comes standard and is fully integrated with the Hypertherm HPR-XD Hy-Definition™ and XPR X-Definition™ Plasma Power Supply family and torches. 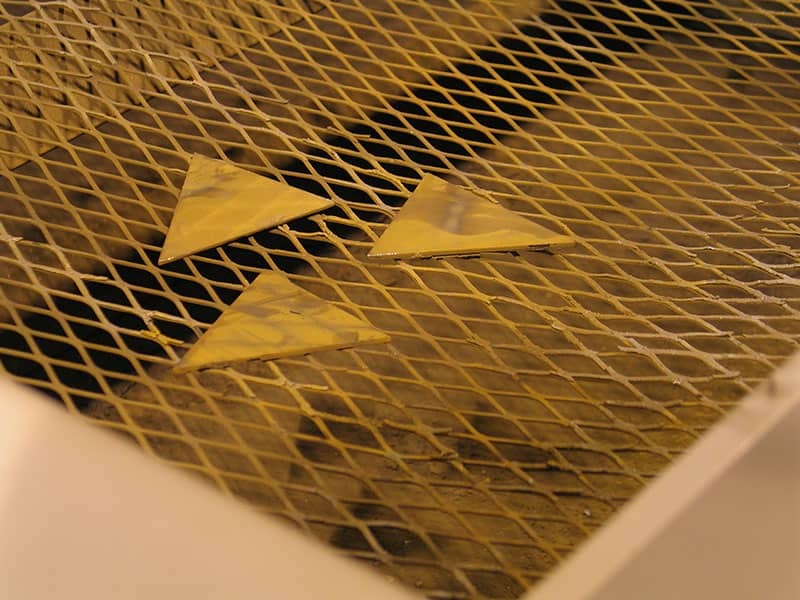 The AKS tru-kut is specifically designed to take advantage of the Hy-Definition™ and X-Definition™ arc beam for superior performance when cutting larger and thicker plate. The tru-kut integration with Hypertherm HPR and XPR power supply units provides Hypertherm SureCut™ technology as a standard feature. 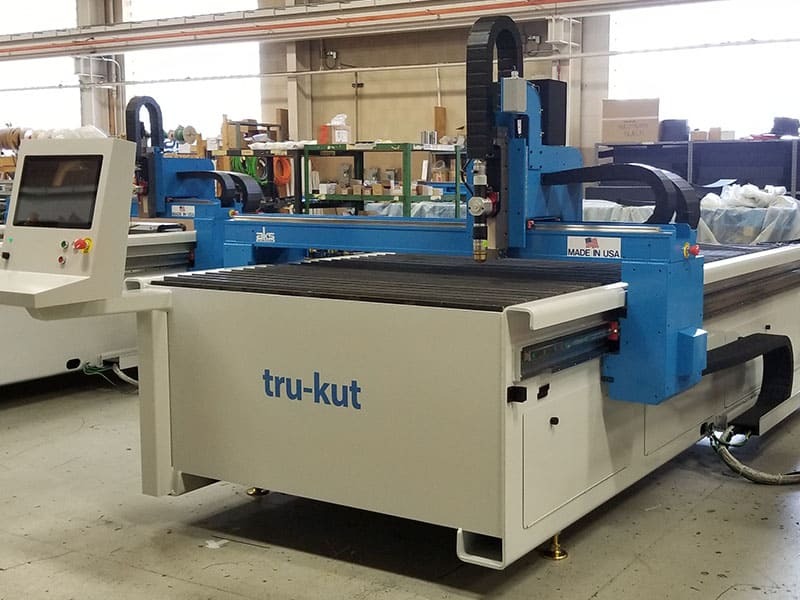 The AKS tru-kut utilizes the Hypertherm EDGE Connect™ CNC Controller, the leading plasma cutting controls package in the industry. 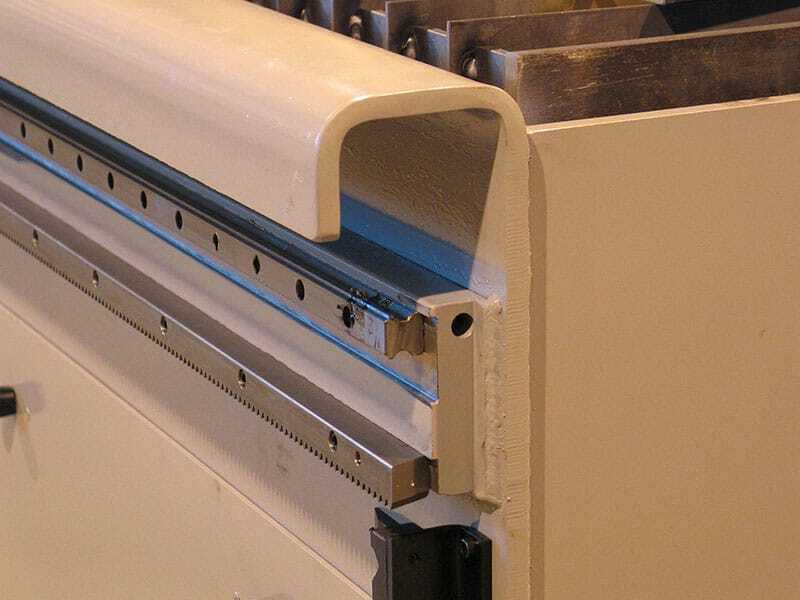 The EDGE Connect™ combines Hypertherm’s embedded expertise foundation with AKS Cutting Systems customization.